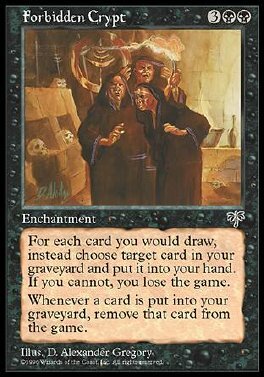 If you would draw a card, return a card from your graveyard to your hand instead. If you can't, you lose the game. If a card would be put into your graveyard, remove that card from the game instead.